An examination of the Romanian educational system after 1989 underlines a continuous changing trajectory generated by globalization and political events. In this reference system, tendencies observed at the academic level are connected to the process of repositioning educational institutions in the new economical and social context. After entering the European Union, Romania committed to implement the Bologna and Lisbon standards, an ongoing process that continues. Nevertheless, a disparity in terms of quality and quantity is found between public and private higher education institutions, as well between academic education and the labor market’s demand. Additionally, the main challenges of higher education today refer to identification of alternative financial founds, correlation between curricula and demand of the labor market, internationalization of higher education, and increasing the number of qualitative teaching staff. After political changes that started at the end of 1989 and with the fall of communist regimes in Eastern Europe, most of the countries in this area witnessed major changes regarding their educational systems with Romania as no exception. In accordance to Article 32, Paragraph 1, of the Romanian post-revolutionary Constitution “The right to education is provided by the compulsory general education, by education in high schools and vocational schools, by higher education, as well as other forms of instruction and training”. According to further stipulations of the Constitution, the right to education of each person is equally important as the right to freedom of expression, or the right to life. Therefore, two years after the overthrown of the communist regime, a priority for the Romanian government became the drafting of a new law of education, meant to change the old system. This task was assigned to the representatives of the elected parliamentary parties, namely the trade unions and those of the civil society, under the coordination of a National Committee. After three years from the date of decision, has been enforced the Law No 84/1995, by which Romanian education system was declared as a national priority. According to this Law to all Romanian citizens has been ensured equality of access to all levels and forms of education, regardless of their social and physical conditions, gender, race, nationality, political or religious affiliation. This law also guaranteed the universities autonomy, even though public education was being financed from the state and local budgets. 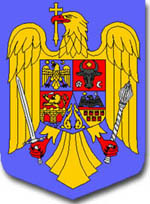 The last major legislative changes to the Romanian education system, included the adoption of the National Education Law 1/ 2011, modified later through several ordinances, the latter being the Ordinance 49/2014. According to the Ordinance 49, the initiative of founding a state higher education institution belongs to the Government, while the initiative, the financial resources, as well as the necessary equipment to the establishment of private higher education institution, belongs to an individual, group of individuals, a foundation, an association, a religious denomination, or another education provider recognized as such, under the laws stipulations. Moreover, Romania as a Member State of the European Union, made considerable efforts to implement Bologna and Lisbon standards, however, there still can be observed gaps and a lack of correlation between education and labor market requirements, as well as a real competitive market for higher education institutions. From a quantitative perspective, two simultaneous evolutions have been identified recently. First, the number of private universities increased, providing alternative curricula to state universities with economical and juridical profiles. Second, the number of state universities and students also increased. According to data published by UNESCO, the number of students increased approximately six times in the first Romanian post-communist decade. Additionally, the number of higher education institutions doubled in 2010 when compared to 1990 (in 1990, there were 56 universities with 186 faculties, whereas in 2010 their number increased to 107 universities with 629 faculties). In terms of didactical staff, a slow increase has been noticed when compared to the increase of students’ number. From 11’803 didactical personnel in 1990, the number increased to 27’765 in 2011, resulting in a growth index of 2.35, obviously lower than a growth index of 6 in terms of students’ number. This dynamic led to a disproportion between number of students and didactical staff as well as deterioration of academic material basis, leading inevitably to a decrease in quality. From a qualitative perspective, the main issue refers to perceptions or the role and mission of Romanian higher education institutions. While higher education institutions are generally perceived as a place that forms elites, teaching staff adopts an increasingly critical attitude towards the quality of baccalaureate graduates that enroll for a degree. This phenomenon is in line with Romania’s demographic evolution. In parallel to this discrepancy between perception and auto-perception, there is a disagreement between institutional declared and assumed mission and financing regime on the other, the latter aiming to attract a large number of students, encouraging the quantitative finality at the expense of quality. In terms of property, higher education institutions from Romania are public and private. Beyond the juridical aspect, the main differences relate to financial indexes and ratio between investment and quality. From a traditional perspective, more than half of higher education institutions from Romania are younger than 20 years. Of the remaining, less than half are between 50 and 100 years old. In 2008, 54% of students were enrolled in public universities where as 46% were studying at private universities. Empirical data suggest an interesting aspect: this situation is caused not only by a distorted image of Romanian private universities in public space, perpetuated or underlined by some exceptions, but high costs associated to this education possibility. Considering the lack of state finance for private higher education institutions, their offer is quite modest compared to public universities, but more expensive. This aspect shapes the choice of candidates, placing public academic institutions and their proposals ahead of private ones. Even though percentage difference is not relevant in terms of students’ number, major differences appear when it comes to contribution and expenses: public education allocates 92% of the total expense and private institutions only 8%. Another inconsistency relates to the process of quality management in higher education. While the inclusion of traditional state universities in classifications according to international standards is perceived as quality insurance, private universities lie automatically outside any competitive area. In terms of performance, students and faculty candidates are aware starting with 2011 how performing is the program they follow and at what university. The Romanian Ministry of Education has completed the classification of all the higher education programs offered by universities dividing them into five categories that are classified from A being the best, to F being the worst. According to the official assessment, only a fifth of the programs offered in the education market can be considered at the highest category. Category B contains 22.1% of the 1,075 programs, while Category C gathers nearly a quarter of the programs of study. The fewest are found in Category D at 12%, while Class E collects the remaining 20% of programs. As expected, most of the elite programs are found in the first category. 55% from the A programs are conducted by advanced research universities, 34% in the education and research universities and only 10% in the third category. In contrast, only 1.7% of the E-type programs are conducted in top universities, 18% in the education and research ones, while, almost 80% of the E category programs are conducted in third university category. Although some of the indicators used in the ranking of universities and of the study programs coincided, the evaluation was different in the two above-mentioned cases. For, while university classification took into account primarily the results of scientific research, study programs classifications aimed first the teaching and learning side. This classification is important, because it is an instrument delivered to those who wish to pursue their studies in Romania, and also it is a performance indicator that could be used in case of merger between higher education institutions. Indeed, the landscape of Global Higher Education around the world is changing, as the Vice President & Dean for Graduate Education from Virginia Tech, Professor Karen DePaw, said during a GPP 2015 Seminar in Basel. Romania might be considered as being an example from this point view, because it has changed considerably after 1989. It has evolved with respect to foreign languages, religious education, and ethnic minorities, which transformed Romanian Higher Education system into a modern entity. Still, summing up, on previous paragraphs, it can be concluded that finding the most viable form of higher education in Romania in its new economical and demographic environment is not easy. The prestige of public universities, combined with its extended offer and budgeted places, represent attractive proposals for candidates. With respect to private higher education, the costs are relatively high when compared to economical landscape in Romania. On long term and from an idealistic perspective, private education could benefit from Romanian academic environment by increasing the level of competitiveness. Tuition fees, limited number of places and dormitories, lack of teaching staff, the suspicion in public space related to their less rigorous academic standards are serious impediments that Romanian private higher education institutions have to confront with, therefore, the public higher education institutions, were and still are the best option for any potential student in Romania.